Sold by Matt Deals and Fulfilled by Amazon. Gift-wrap available. Amazon's Choice for "look keo 2 max"
Sold by Matt Deals and ships from Amazon Fulfillment. Ships from and sold by Yachew LTD UK. 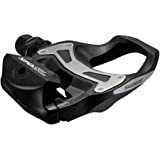 Look 6010121100 KEO 2 Max Grey is very light and reliable at only 130 grams per pedal. This has been achieved through the use of a carbon injection process allowing for weight reduction and improved durability. The KEO Max graphite increases efficiency and comfort, with a 12 percent increased contact surface area and steel wear plate. 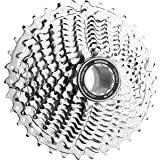 Particular attention was focused on reliability and provided through features such as: a stainless steel cleat contact area, an oversized axle with dual seals, making this a pedal built to last. 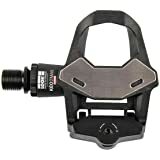 The new line of Keo 2 MAX pedals maintains a low cleat contact height even with the use of a steel oversize axle. The pedal is built with two miniature ball bearings (12mm inner x 18mm outer diameters) and a needle roller bearing. 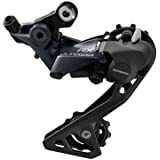 LOOK axles are only approved once they have survived a million cycles at 100 revolutions per minute with a 90kg (198lbs) load at the centre of the pedal and an eccentric rotation (replicating a bump each revolution). This test largely surpasses current standards. Dual seals help to increase bearing longevity. As a beginner these are VERY easy to get in and out of. 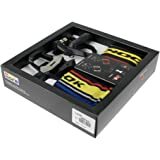 I searched for my first set of pedals as a noob cyclist and can't speak highly enough about these. Very easy to get into and easier to get out. Never worried about taking a tumble....but expect to happen eventually. Ha. 4.0 out of 5 starsBest option in the KeO line-up. These were reasonably priced and I needed replacements for my original 10-year-old Keos. 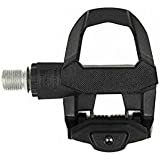 It's always nice to have adjustable tension because if you ever switch to lower float cleats or get stronger, you might need to crank it up a bit. About the only flaw with these pedals is the winged extensions to the pedal platform. 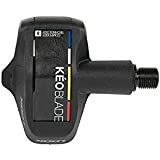 While not as exposed as the wings on the Keo Blade 2s, should you ever slide out, those are guaranteed to shear off and probably eject the metal platform along with it. 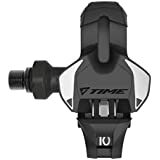 Easy to install, easy to understand, and permits an easy move from flat pedals to clipless. 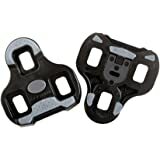 I've been riding on these for over a month now, and they are really easy to clip in and clip out of. 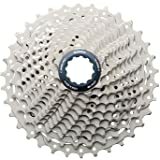 Part of my commute is in the city, where I really don't want clipless pedals, but these are easy enough to use that it's not really a problem making it to my longer, road section of the commute. Been riding it 1 full season now. Great stable platform, great with the Keo cleats. Seems durable and well built. Not the lightest if you are a gram-shaving fiend. Light enough for the rest of us mere mortals who don't want to jump up to the next level pedal which is almost the exact same pedal that's a touch lighter and way more expensive. 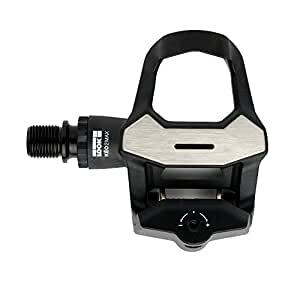 Been riding bikes for years now and so far these are my favorite pedals. Easy to switch out and my cleat doesn't slide around in the pedal. Definitely recommended. Pedals came as expected as well as cleats. This is what you would get if you bought them in a store. If you want extra rotation you have to buy the red cleats in any case. 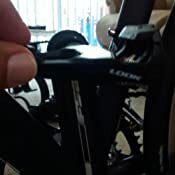 I have been riding Look pedals for 35 years and never a problem.